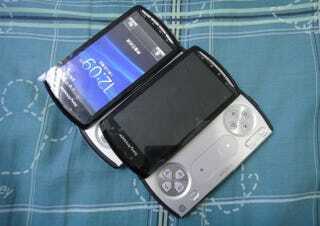 Seemingly more evidence that Sony Ericsson's long-rumored PlayStation Phone (aka the Xperia Play?) has emerged today in the form of a handful of new shots of the still unannounced device. What's new? Xperia and PlayStation branding have found their way onto the PlayStation Phone, for one. The device's menu system also seems to indicate that the phone will run Android Gingerbread 2.3 (which Gizmodo recently reviewed). Will we see an announcement of the device at this week's CES? And will the Xperia Play make a spring release, as previously reported? We may find out by this Wednesday, when Sony holds its CES 2011 press conference.